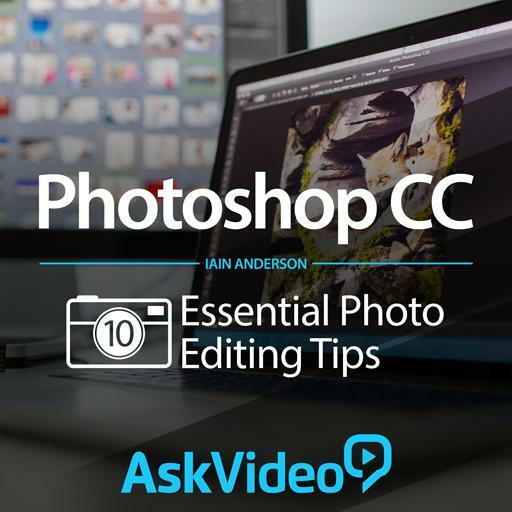 Photoshop CC 301 - 10 Essential Photo Editing Tips. How can you tell you’re in Quick Mask mode? What’s the main strength of the dodge and burn tools? How do you “turn off” an adjustment layer using its mask? How do you keep the RAW image and your Camera RAW settings in your Photoshop file? In Color Range, how do you control the breadth of colors selected? What are the shortcuts to return to default colors and exchange them? Why should you use Layer Masks rather than erasing? How do you increase contrast with Curves? What does the Refine Radius tool do? When and how should you flatten layers together?